Description: The car parked in front of the Breland Ave. (Hattiesburg, Miss.) residence of Dr. C. E. Smith, president of the Forrest County chapter of the NAACP, damaged by gunshots around 3:00 a.m. February 20, 1968. 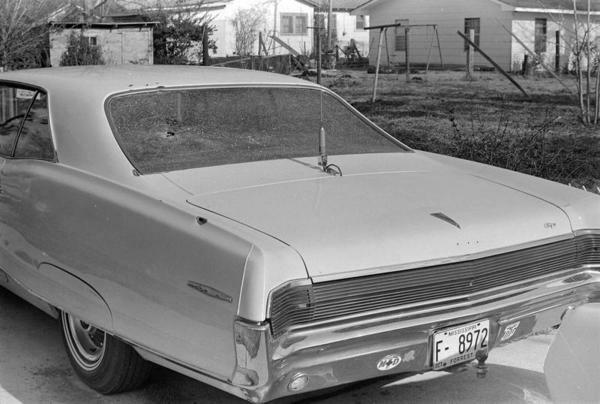 According to a Hattiesburg American story that day, "there were two holes in the left-rear fender of the parked car."